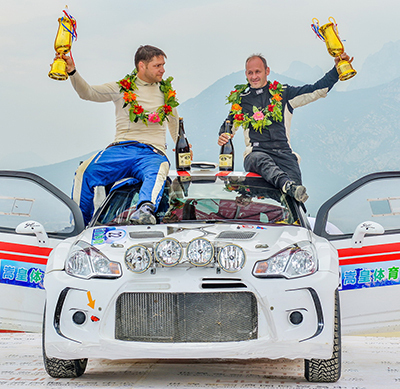 01/2016 - Manfred and his copilot became overall winners at the Jixi Rally and celebrated class victory. 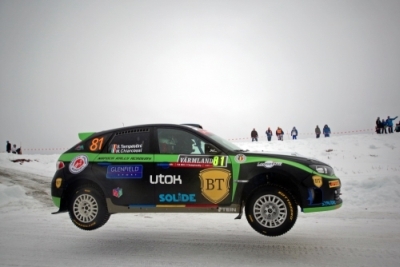 Jari Ketomaa (SF) won the rally through tuff conditions with temperatures below -30°C. Last weekend the #1 austrian rally globetrotter Manfred Stohl and his proven copilot Bernhard Ettel raced at the Rally Jixi, which is part of the chinese Rally Championship. It was planned that the duo would compete in the prepaired Citroen DS3 but plans changed last minute and they had to switch to a EVO 9. The hard fight for the overall win has proven itself. 01/2016 - The austrian world class driver and his co-driver Bernhard Ettel will be competing next week at the Rally Jixi in China. Hot competition and freezing cold weather will be waiting for the red-white-red duo during the upcoming season finale. Whilst the austrian rally fans mourn about the canceled austrian January Rally, Manfred Stohl will already be heading to his next drifting adventure in the empire of the middle. The former group N world champion and Bernhard Ettel will be taking the plane to the far east in a few days where they will be facing the Rally Jixi between 15. to 17. January 2016. 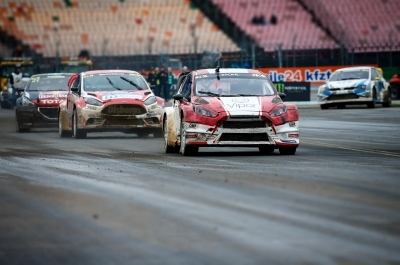 Last weekend the Rallycross championship ended with amazing results for the World RX Team Austria. With Manfred Stohl And Janis Baumanis it was the first time that the red-white-red team reached semifinals with two drivers at the same time in the argentinian San Luuis Rosario. At the end of the weekend Stohl took 12th place home and Baumanis drove his car into the finals and finished with an amazing 4th place. This weekend was already the 4th time the austrian globe trotters Manfred Stohl and Bernhard Ettel had the chance to race in China this year. 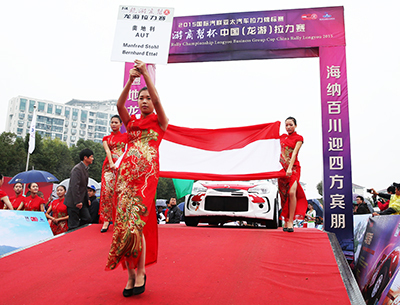 The Wuyi Rally, about 300 kilometers away from Shanghai, was the second last race of the Chinese World Cup. The track was particularity challanging since it was the first time our austrian team was facing a pure tarmac rally in the Middle Kingdom. Even with this handicap Stohl managed to drive his team to the 4th overall place with the Citroen DS3 R5. At the same time Stohl/Ettel became champions in the international homologated vehicle category. The overall winner was the australian driver Chris Atkinson (VW Golf VII) before Briten Mark Higgins (Subaru) and his compatriot Alister McRae (Seneba). This upcoming weekend the RX World Cup 2015 will end. In San Luis, about 700 kilometers from Buenos Aires the 13th RX race will take place on 28./29. 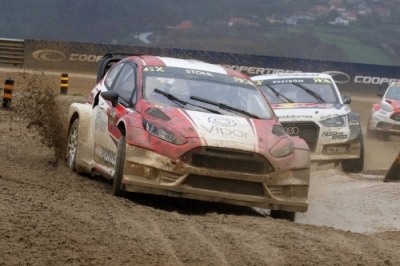 of November and the norwegian driver Petter Solberg will have to defend his Supercar title. With the achievements from the last race in Franciacorta/Italy the World RX Team Austria will be traveling to South America. Positive memories for Manfred Stohl: "Exactly a year ago I had my first contact with Rallycross. Thanks to an invitation from Petter Solberg I got the chance to drive during the last world cup and I was instantly hooked by this action loaded racing series. Now, a year later, as part of an austrian Team we worked hard to gain recognition and respect from the other world elite competitors." 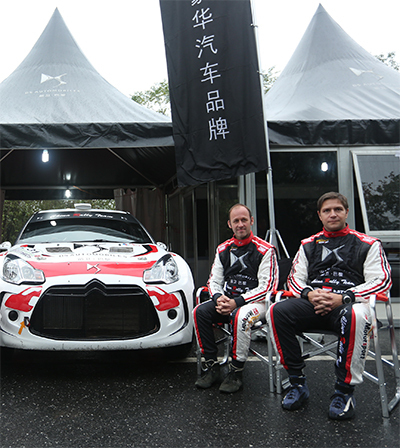 11/2015 - The Rally Wuyi this upcoming weekend will be Manfred Stohl and his copilot's 4th time in China this year. 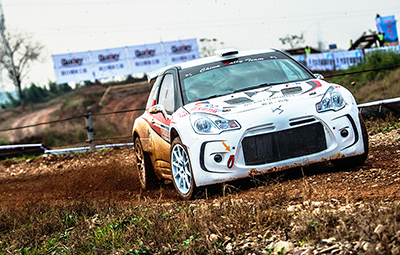 The Duo will be facing the pure tarmac Rally with the Citroen DF3 R5 again. Manfred Stohl's mind should already be in the south western hemisphere of the earth, at the Rallycross world championship in Argentina end of November 2015. After a call from the DS Automobils China, Manfred and his copilot decided to quickly stop by in east Asia. Long Story short: Manfred Stohl and Bernhard Ettel are going to catch the flight from Vienna to Franfurt and from there to Shanghai. 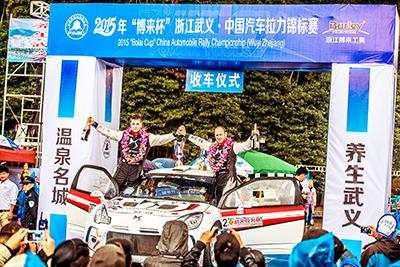 This was Austria's rally ace Manfred Stohl's third on duty visit this year in China. 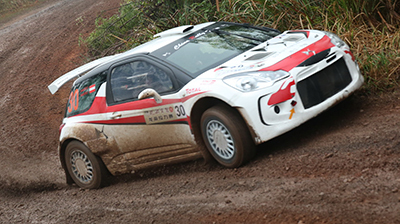 After Rally Zhangye in July and the Rally Henan Dengfang in September Manfred was facing Rally Longyou in October this year, which is part of the Chinese Championship and the FIA ​​Asia Pacific Rally Championship. First of all: The Rally Longyou was def. not a "long" rally - on the contrary : After a spectacular start the ex world champion and his copilot moved up to second place right behind the leading australian driver Chris Atkinson. It all ended abruptly during SS 2. "I turned into a left corner to harsh, unfortunately with fatal consequences" Stohl discribed the mishap. 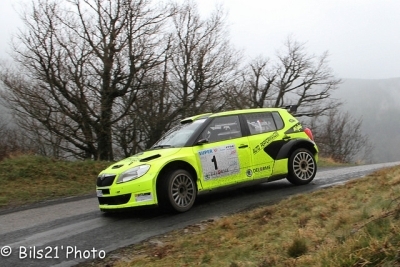 Their Citroen DS3 R5 broke down with a ripped out front wheel and a broken steering problem. Just 2 pilots form abrouad hit the finish in China, one of them Manfred Stohl. 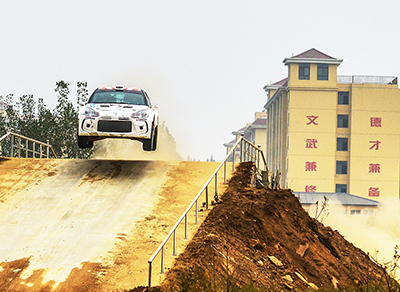 With his Co-Pilot he reached the 12th place at Zhangye Rally, at the edge of the gobi dessert. From 59 starters, the british pilot Mark Higgins won the rallye.
" It was an unbelievable exhausting rallye! Because of the high temperature, ther were insanely much dropping outs! ", Stohl commented. On 7./8. of August there will be the next appearance for the Austrian Team in Canada. Next week a very fast race will take place in Mettet, Belgium. / Max Pucher and Manfred Stohl had learned more about RX and they're full of confidence! The race will take place at Circuit Jules Tacheny, near Mettet, which is located in the west of Belgium. Manfred Stohl is still annoyed by his starting malheur in Hockenheim: Too bad, in Hockenheim there was at least the posibility to reach the semi finals. But altogether we have to accept that the chance always intervened, because other drivers had more dramatic collisions, but although reached the semifinals. There is an enormous density in the World Championship, you have to fight for the next starting position in every bend. If you want to be established in the top league, there is no room for mistakes!" In Mettet, Belgium, there will be the next possibility to realize these insights. Stohl after the first day sensationally 4th place, but unlucky in heat 3 and 4. After an unlucky start and a collision in heat 3 and 4 Stohl just reached the 14th place in the mid-term ranking. Only the first 12 are allowed to enter the semifinals, this was the early ending for Team Austria. Stohl didn't felt comfortable in the open trainings: " Due to the dust, it wasn't possible for me to drive constantly. Furthermore I missed the gravel." But after heat 1 and 2 Stohl was surprised, because he made it to the 4th place in the mid-term ranking. Unfortunately the tide was turning with heat 3 and 4 on Saturday. Stohl disappointed: " I've failed my start in heat 3, so I was badly placed at number 16, but yet 8th rank in the mid-term ranking. At the last heat I tried to reach the pole position instantly, but unfortunately Rene Munnich (GER) and Andreas Bakkerud (NOR) sandwiched me. Due to that the intercooler broke. I had no chance and disembarked at the last place. Max Pucher had technical Problems: After we repaired the air tube, the car runs perfectly in the warm ups. But in heat 3 the ALS tube bursted, so I had a bad start again and no power. But that's experience and we have to learn from it. The early date in Hockenheim had deranged our schedules. We are disappointed but not frustraded at all, because now we know that our basis is competitive. Like usual the devil is in the details. Most teams have many years experience in RX, but we just completed two races. We will learn from our setbacks and they will encourage our team!" Pole position in Hockenheim Petter Solberg (Nor), second Reinis Nitiss (Let), third Timmy Hansen (Swe). 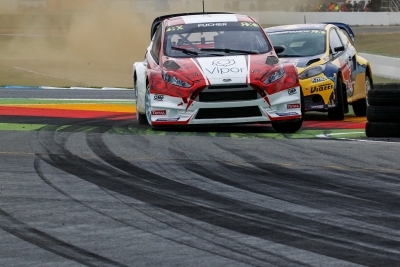 World RX Team Austria was surprising itself. Stohl was reaching the Semifinals and Pucher the 19th place. Kristoffersson (SWE) won. It was a rainy and windy season opening in Montalegre, Portugal. But at the foreruns we already knew that World RX Team Austria is able to stand the other Team's pace. 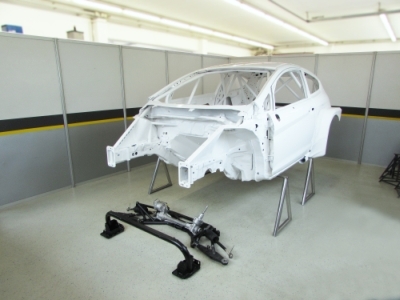 Stohl Racing Team was working hardly to finish the 2 Ford Fiestas, so there was no chance to run practical tests. Anyway, after a few meters at the foreruns, it was clear to see, the Ford Fiestas were reliable and successful. Stohl reached the semi finals at the 12th place. After a sudden start he nearly reached the pole position. Unfortunately there was a really rough fight, which is usual for the semifinals. Stohl was croweded to the gravel bed and fell back in the ranking. Moreover, in the heat of the moment, there happend a mistake, which let him finish the semifinals at 12th place. Altogether it was a very successful beginning and we are extremly proud of the whole team! Congrats from the whole Stohl-Racing Team to Fabia Despinasse! He won the Rallye Pays du Gier 2015 in France!! Unfortunately we had no luck in Mexico. Driver Simone Tempestini and co-pilot Matteo Chiarcossi were in the lead until all failed! The Subaru Impreza STI’s diff broke => complete failure. The frustration was huge, but we keep our head up and looking positively right into the future. 15th of February 2015 was a lucky day! At the Production Drivers Cup in Sweden, Simone Tempestini catched the first place. Although the first day was a little bit tricky, due to the Subaru Impreza STI Group N swang off the way. 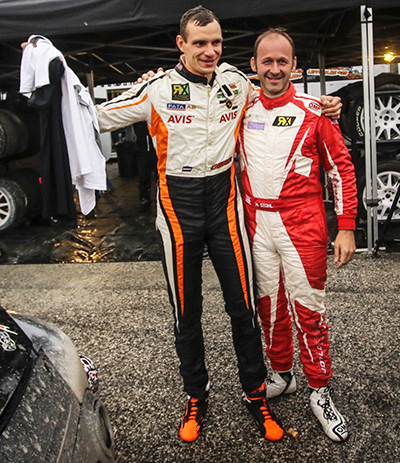 Nevertheless Tempestini and his co-driver Chiarcossi could forge ahead to win the rallye in Sweden! Congrats from the whole Stohl Racing Team! < Visiting Slovakiaring last week! !! !First pics from our Rallycross car!!! Watch the first pics from our rallycross car! World Rallycross Team Austria announces participation of Manfred Stohl in the FIA World RX Championship presented by Monster Energy. 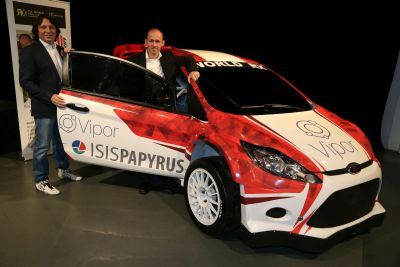 Max J. Pucher, team principal and driver of World RX Team Austria and owner of MJP Racing, announced today that Manfred Stohl will be the star driver of his team to participate in the 2015 FIA World Rallycross Championship for Supercars (http://rallycrossrx.com), sponsored by ISISPapyrus Software and VIPorbit Software. The FIA World RX Championship was running for the first time in 2014 and won by Petter Solberg, the 2003 WRC champion. Austrian, Manfred Stohl, was World Rally Champion in Group N in 2000 and fourth in the WRC in 2006. 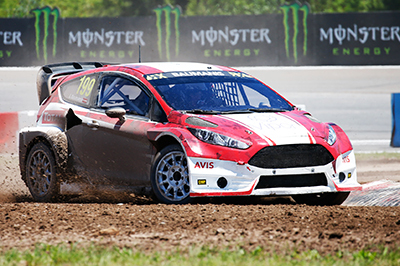 Max Pucher placed third in the 2014 Austrian RX Championship in an OMSE Fiesta Supercar he bought in 2013. His commitment to restore the Austrian RX sport to its former glory met Manfred’s Stohl interest in the race format. Manfred Stohl had the opportunity to test and finally race Max Pucher’s Ford Fiesta Supercar in the 2014 Race of Austrian Champions and won it convincingly. 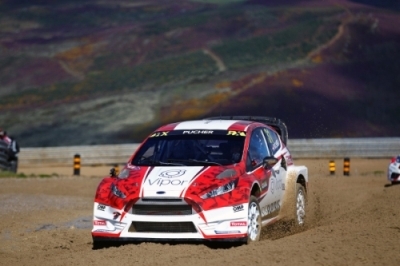 He was further invited by 2014 World RX champion Petter Solberg to drive as his teammate in the final race of the 2014 season in San Luis, Argentina. Manfred Stohl managed to advance to the semi-finals in 9th position but did not finish due to a broken suspension. 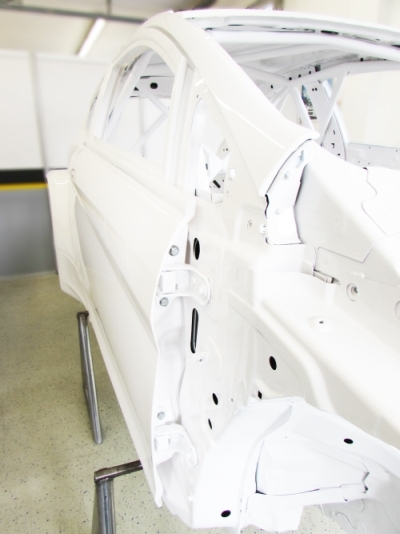 Watch the report of the durability test on the new Subaru WRX STI for 2015! Homologation and preperation are running at full speed! We're feeling highly confident and looking foward to a good season 2015! 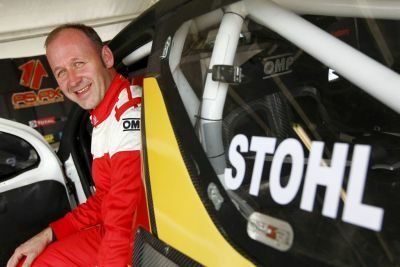 After an invitation from the norwegian superstar Petter Solberg, Manfred Stohl was starting at the rallycross world championship finals in Argentina. Manfred Stohl actually accomplished a place in the semifinals. Unfortunatelly he had an accident with the swedish guy Tommy Hansen. Thereby the suspenison arm from Solbergs second car, an Citroen DS 3 RX broke. But Stohl still was in a good mood: "Nobody can take away this experience, it was great fun!" Not just the sportsman Manfred Stohl, but the businessman felt that his mission was fulfilled. Max Pucher, third place in austrian championship in rallycross last season, asked Stohl to build a new car in his company Stohl Racing. After his commitment in Argentina, he has a good overview, so he will be confident to build a rallycross car. 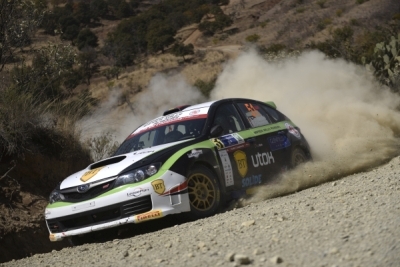 Apropos, Petter Solberg won the world championship finals in San Luis, Argentina. 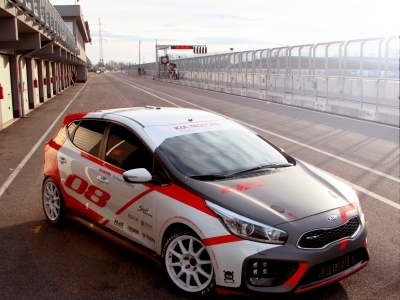 2014 - New experiences for Manfred Stohl. On wednesday Stohl went to Argentina to make his World Rallycross Championship Debut this weekend. He teamed up with former Rallye-Champion Petter Solberg to drive the second PSRX Citroen DS3. We are expecting an exciting weekend! Keep your fingers crossed for good results! 2014 - At the upcoming weekend, Ex-Rally World Champion Manfred Stohl, will start in Greinbach, in a Ford Fiesta Rallyecross. This start at the "Race of Austrian Champions" will be a test for a very special invitation. Manfred Stohl acts as teamchef, stock car organizator and, for sure, as a rally driver. So it is no surprise for us that Manfred Stohl will be on duty again the first time in Rallyecross, after his acceleration at "China Rally Longyou"
At the "Race of Austrian Champions" (ROAC), next Saturday and Sunday, Manfred Stohl will start in a Ford Fiesta Rallyecross at the terrain of PS Racing Center Greinbach. But this idea of Rallycross, certainly has a background. 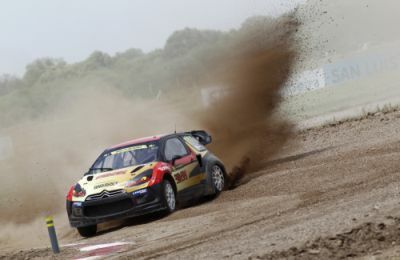 Manfred Stohl has the chance to drive Petter Solberg's second car, a Citroen DS 3 RX, at the Rallyecross World Championship Finals, which will take place in San Luis Argentinia. "Everything that has 4 wheels fascinates me! Once I drove a Formula III car at Hungaroring. And now I've got the chance to try rallyecross!" 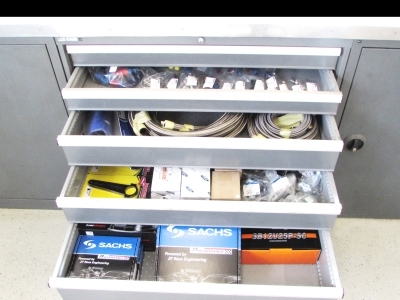 that's how Manfred Stohl comments his side-trip to rallyecross. 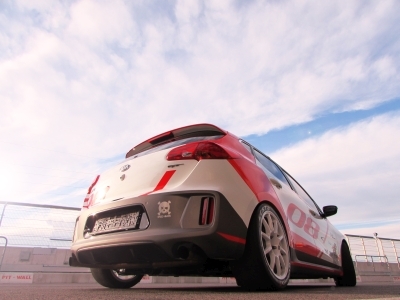 On Saturday, 18th of October 2014 the 'Kia Cee'd GT Driving Experience Day 2014' took place at Wachauring in Melk, Lower Austria. 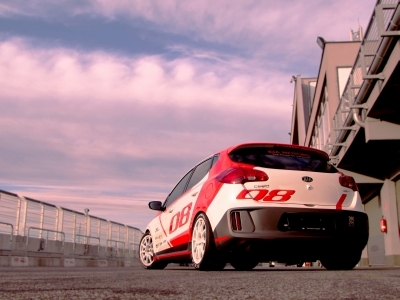 Watch the video, to get a clue of the Kia Cee'd GT Experience! We've got awesome news from Romania last weekend! On the first racing day, our Pilot Francois Delecour had a bad accident. He swang off the road and the result was a damaged suspension on the right front side of the car. But after a masterly performance operated by our mechanics team, it was possible to start again on the 2nd day! It was a great race and Delecour took home the romanian championship! On 13th of september, the e-rally in Phyrn-Priel, Austria, took place. 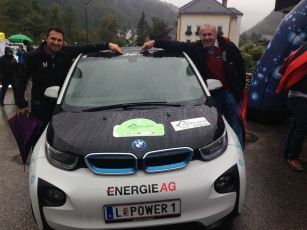 Mr. Stohl Senior, Rudi Stohl was there to experience 100% rally-fun and not at least 100% progressive electro mobility. For sure we got in the mood for our own project "rally-e", that now stands in the hot finale phase! Third place for Hannes Danzinger! It was a phenomenal race with a lot of heights. There was just a little dampener on the second racing day. On the first stage Danzinger was leading and on the powerstage he received two additional points. 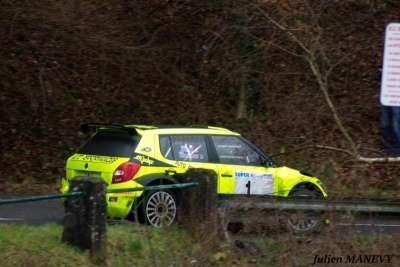 Unfortunately on the second racing day he skidded down an embankment, with his Peugeot 207 S2000. Due to that he lost about one minute before he continued. Due to a crash and a subsequently damaged radiator, leading Hermann Neubauer failed unfortunately , at the same place. Meanwhile Danzinger and Saibel battled for the third place. Danzinger drove that good, that just 1.4 seconds was missing to Saibels time. Concerning a tire damage, Grössing, who was on the second place, failed and Hannes Danzinger secured his bronze medal. Richly deserved Hannes Danzinger reached the third place, behind the winner Raimund Baumschlager and the second placed Mario Saibel. After that spectacular race, we are looking forward to a successful rallye season.